By buying this product you can collect up to 82 loyalty points. Your cart will total 82 loyalty points that can be converted into a voucher of 24,60 €. 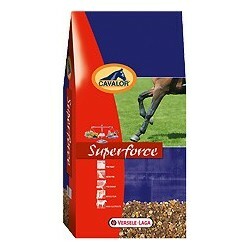 Cavalor SUPERFORCE is a top-quality feed especially suited for active competition horses that must produce sudden bursts of energy in disciplines such as show jumping, cutting and short-distance racing. With brief, intense efforts that make no call on oxygen (anaerobic activities), the horse's body mainly uses sugars, which it gets largely from grains in its feed (oats, barley, wheat, corn). The more grains, the more energy ? No ! Feeding grains must not be exaggerated or it may form too much lactic acid, resulting in muscular and digestive problems. Pro-Yeast, an ingredient in Cavalor SUPERFORCE, ensures that there is no chance of acidification in the intestine. 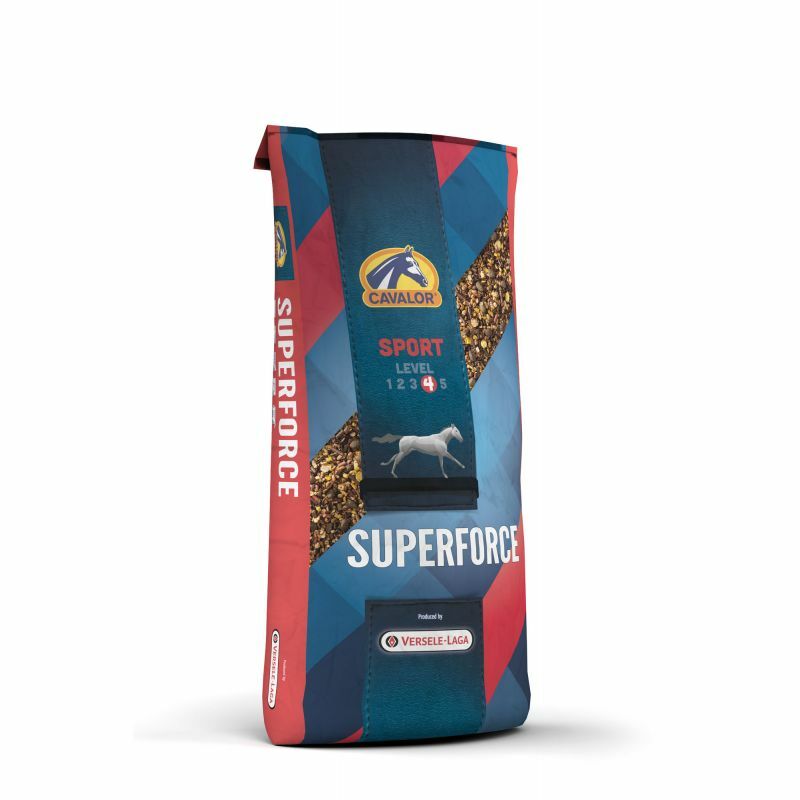 SUPERFORCE also contains a special selection of exclusive top-quality grains and an exceptional mix of Omega-3 and -6 fatty acids for safe energy, as well as specific amino acids and an extensive range of vitamins, minerals and extremely easily absorbable trace elements. SUPERFORCE also contains Muscle Plus, which combats the formation of lactic acid. Muscle Plus is a combination of extra vitamin E and selenium. This balanced combination means that Cavalor SUPERFORCE supports the energy needs for peak performance and the general condition of the horse. 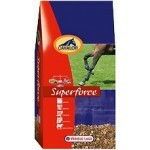 Always give SUPERFORCE in addition to sufficient (at least 5 kg) hay and straw. medium-heavy work - max. 600 g per 100 kg live body weight. heavy work - max. 800 g per 100 kg live body weight. Pro-Yeast provides optimal digestion of crude fiber, intake of minerals, production of B-vitamins, an effective yield of the total feed and, of utmost importance, a reduced risk of colic. Artri-Pro is a unique copper, zinc and manganese supplement, with each component in optimal proportion. These micronutrients ensure that the joints, tendons, cartilage and skeleton are given a higher level of support than they would from any regular maintenance mixture. Pro-Energy stands for an optimal supply of energy in the form of nutritional fats and carbohydrates. Muscle Plus indicates an increased level of vitamin E and selenium. 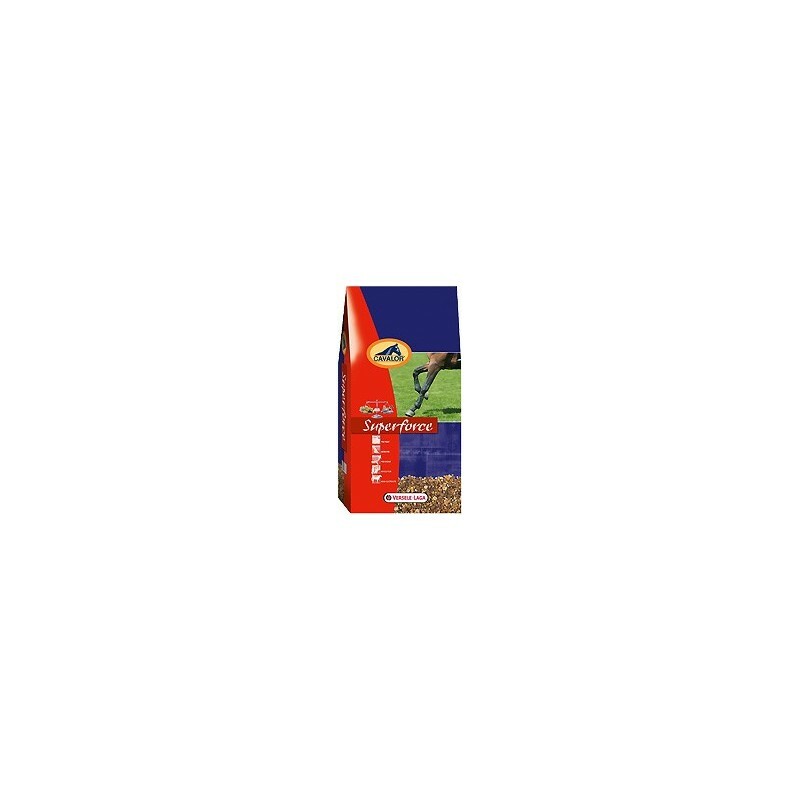 This protects muscle cells, immune system cells and blood corpuscles. Mega-Electrolytes are minerals (sodium, chlorine, calcium, potassium, magnesium, phosphorus, sulphates and bicarbonates) that serve a key role in the horse's body in regulating its water balance and acid value. The Mega-Electrolyte concept is your guarantee that your horse will ingest all its required ration of electrolytes on a daily basis.